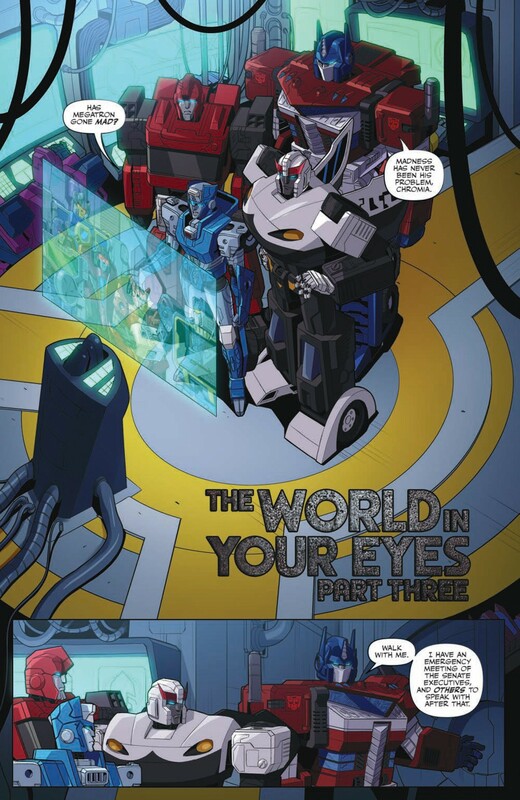 Thanks to IDW, we have a 5 page preview for the upcoming Transformers #3 comic! 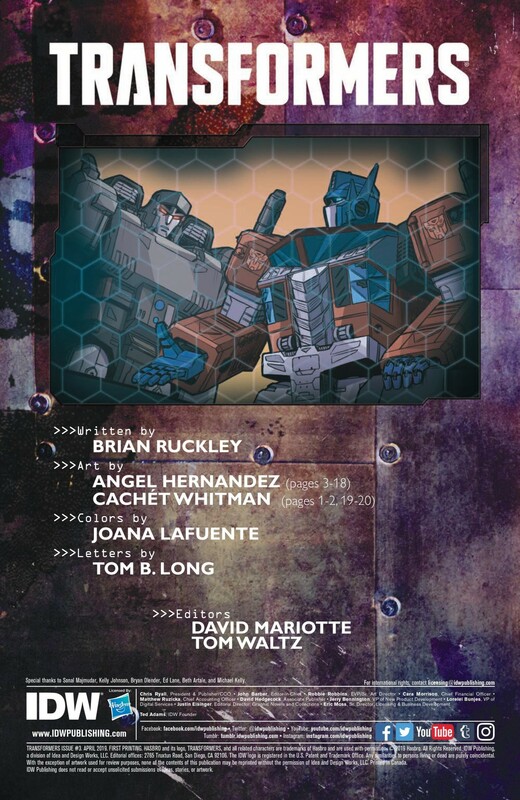 The 5 pages that we get to view for the new issue, which is scheduled to be out tomorrow (Wednesday), feature Megatron putting together a new security team for his Ascenticon meetings, which includes Elita-1, Skytread, Refraktor and Quake. We also see a James Roberts' Froid. 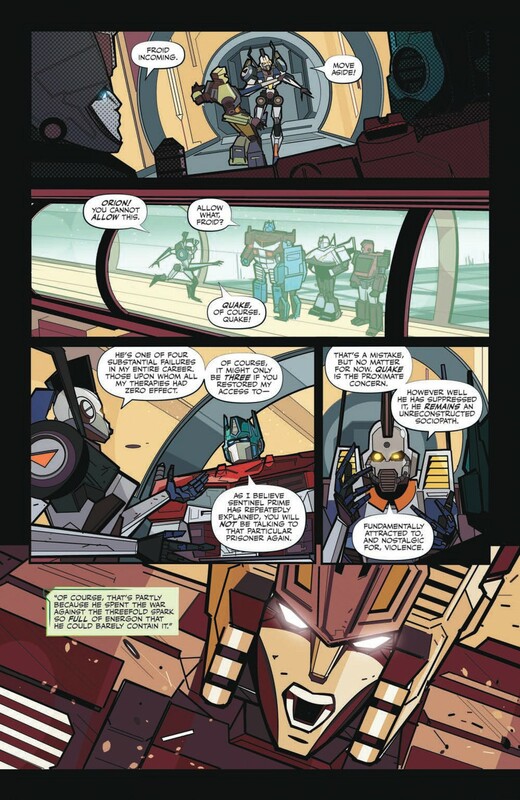 This shows that there are definitely elements from the previous IDW universe bleeding into this one. Did not have time for a full review yet (later today/tonight, probably) but I'm of two minds on it. 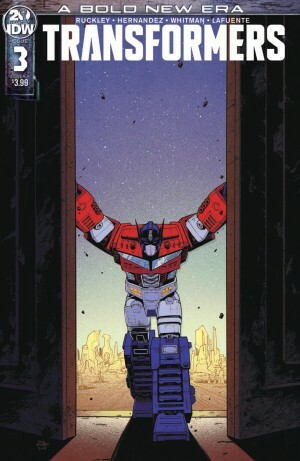 The first handful of pages were engaging and the last few with Optimus were the right level of atmospheric/mysterious. Everything in between those wasn't objectively bad, sure, but it was just kinda boring. Boredom ain't good. ScottyP wrote: Boredom ain't good. Indeed. When you are trying to sell a new series, that isn't a feeling you should be giving your audience. 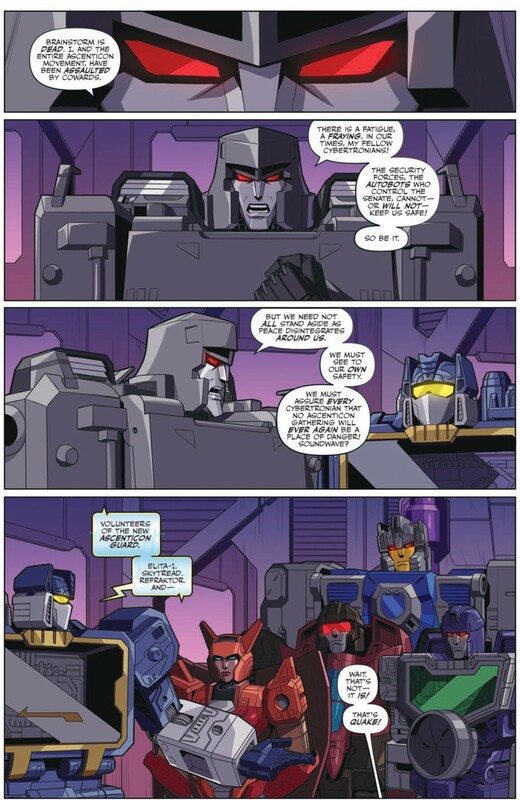 Three issues in, G1 had Spider-Man, Infiltration was ramping up to an imminent confrontation, RiD had explosions and intrigue, and even MTMTE had a protracted chase issue with a Sparkeater. This book has an unremarkable off-panel death with zero stakes, largely off-panel protests/riots and far too much exposition dumping. Is it me or is OP in this continuity really abrasive and short-tempered? I’m sure that can be chalked up to his pre-prime status but let’s hope they don’t make him too much of an unlikeable hardass. 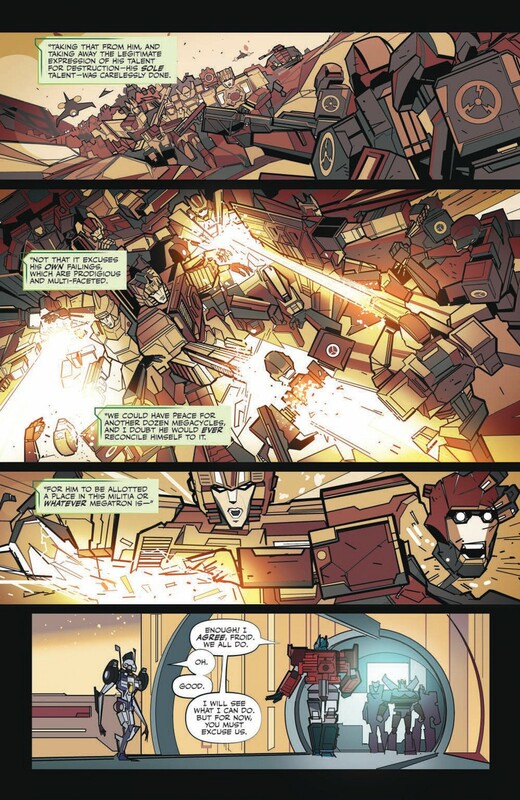 Stormshot_Prime wrote: Is it me or is OP in this continuity really abrasive and short-tempered? I’m sure that can be chalked up to his pre-prime status but let’s hope they don’t make him too much of an unlikeable hardass. Ha. Let’s all pour one out for the one-time they actually did something new with OP’s personality in Animated. I'm a big fan of Cybertron's hybrid God-Bot + loveable youth soccer coach personality. This only applies to the dub, he's just plain stern/boring God-Bot in Galaxy Force. 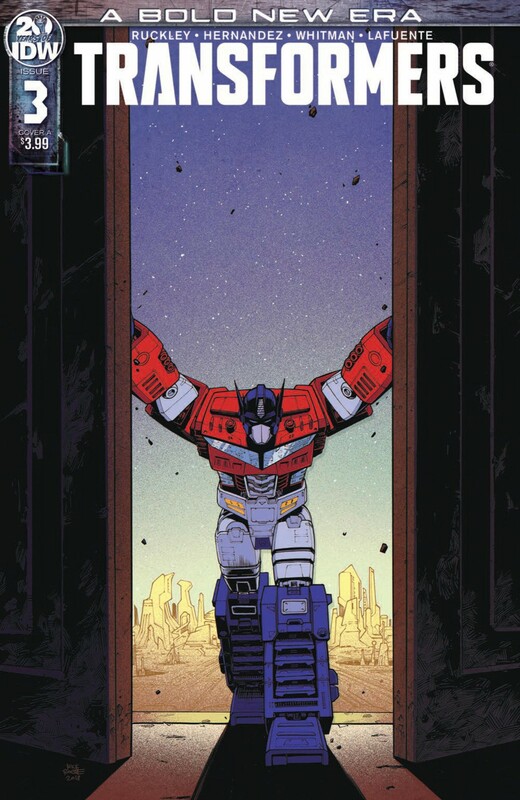 I keep hoping this Prime will take things seriously while still keeping a lighter side. Maybe the upgrade armor will help if he even gets it. I apologize, but I think you misunderstood my post. 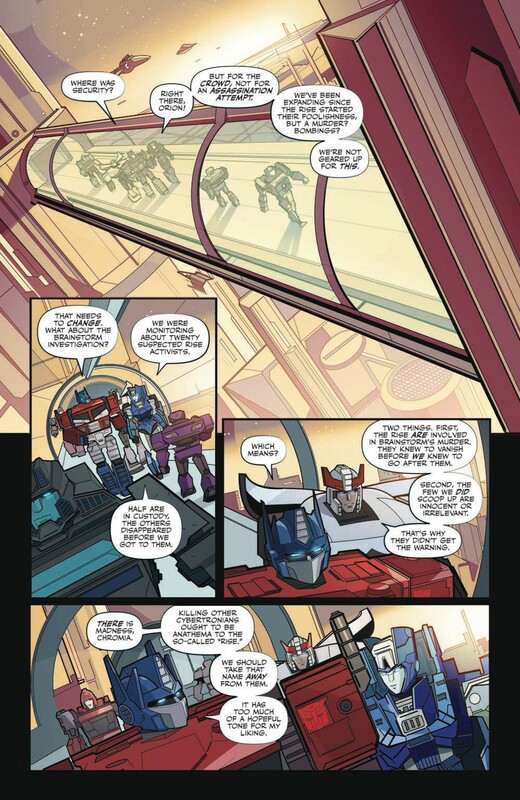 I'm not criticizing the line artist or the colorist, and I agree that taking color away to dramatize flashback scenes is pretty standard. What I'm calling a "boneheaded decision" is the choice to use toy designs for the character models. My point in talking about the flashback scene was that, because almost all the characters are designed with square shoulders and box shaped torsos to match the toys, it means that none of the characters in the flashback shot look distinct because they're all the same color. My overall point is that this wouldn't be a problem if the characters had different silhouettes. My only point here is that using the toy designs for every character was a bad one and it makes the book feel off. 3,729 pages were recently viewed by 533 unique visitors. This page was viewed 5 times on Thursday, April 18th 2019 5:33am CDT. © 2019 Seibertron, Inc. DBA Seibertron.com. All Rights Reserved. Established June 2000. Seibertron.com is owned by Ryan Yzquierdo.